Looking for a few easy tricks to keep your tiny bathroom organized? We've got you covered. 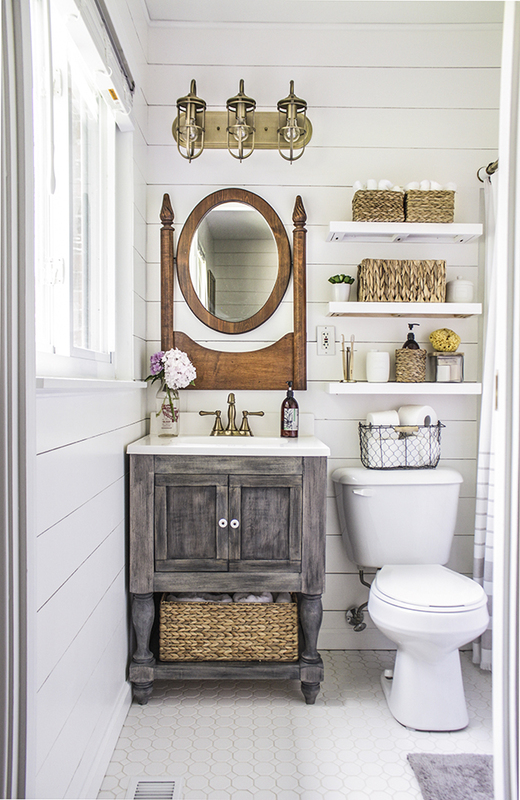 From wicker baskets to coat racks, these five ideas for adding storage to your super small bathroom are effective and effortless. Living with a small bathroom can be difficult, but less space means you just have to get a little creative with your storage solutions. 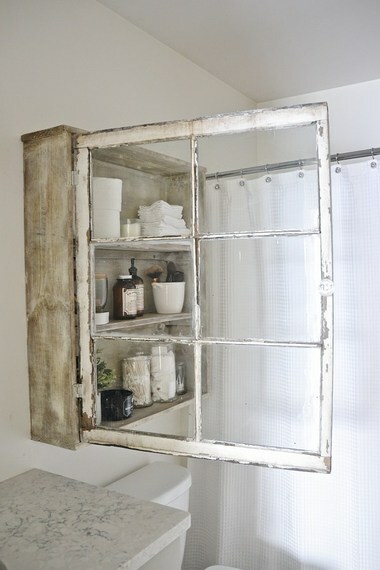 Check out these bathroom storage ideas from the Blogger Community at Porch.com! 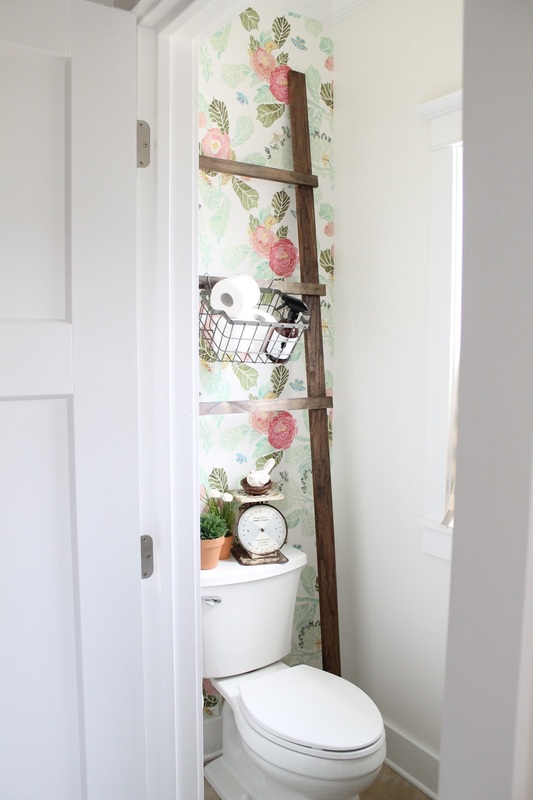 Don't waste the space above your toilet in your tiny bathroom. Install a cabinet on the wall for storing toiletries, tissue paper, lotions, and more. A storage ladder is one of the easiest ways to add extra storage and charm in a small space. Hang baskets and towels on your ladder for a fun bathroom storage solution that will help you add space and stay organized. Baskets, baskets, and more baskets. Affordable and efficient, baskets and bins can be placed underneath your sink, beside the toilet or on shelves for additional storage in your small space. Try hanging a coat rack in your tiny bathroom to hang robes and wet towels instead of towel rods. 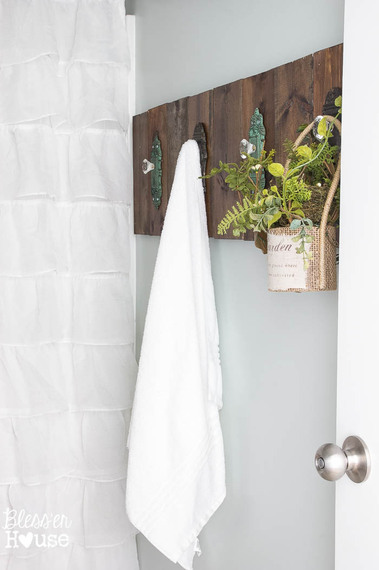 A coat rack with five or six hooks will make your small bathroom less stuffy and more appealing. Utilize dead space by hanging a shelf above your bathroom door. Display decor and store toiletries, towels, and even extra toilet paper rolls. Do you have tips and tricks for adding storage to a small bathroom? Comment below! Perched on a private island near Vietnam's Nha Trang, the Ninh Van Bay's Rock Pool Villa boasts the best breezy open-bathing experience. Scattered among rock formations, the villas come with plunge pools, as well as luxurious open bathrooms with handmade wooden bathtubs and steam showers looking straight down on the East Vietnam Sea. Nestled among the treetops, amid acres of African bush and roaming wildlife, sits Kingston Treehouse — the jewel in the crown at the Lion Sands Resort in South Africa's Sabi Sand Game Reserve. Adjacent to the outdoor bedroom is a stylish, modern glass-walled bathroom space with spectacular panoramic views. You might even spot a giraffe while you're lathering up. A haven of marble, glass and gold, the bathroom in the George V Penthouse at the Four Seasons Hotel, Paris, is the epitome of opulence and glamour. Take a relaxing soak in the infinity bath (fitted with jets and underwater lights), enveloped in the heady scent of fresh flowers, arranged by world-famous florist Jeff Leatham. No, this isn’t a still from a Sean Connery-era James Bond movie: it’s Jade Mountain, a real-life hotel-resort on St. Lucia’s southwestern Caribbean coastline. Soak in your chromatherapy whirlpool bath while enjoying the breathtaking panoramic views of the Caribbean Sea and Piton mountains – or enjoy an all-singing, all-dancing ‘shower tower’ (read: rain shower with six body sprays and a separate hand shower). Soak in the bath while you soak up the spectacular London cityscape from the ultimate vantage point: hundreds of feet above the snaking Thames. The Shard’s Shangri-La Hotel (which boasts the highest hotel room in Western Europe) offers five luxury suites with floor to ceiling windows, steam showers, Jacuzzi baths, and the pièce de résistance – heated loo seats. Make like rock royalty in the Freddie Mercury Suite bathroom at Eden Rock St Barths' Villa Rock Star. Check out the stunning curves, shimmering tiles and huge, mid-century style leather armchair. One word: 'Barbarella'. If you've ever fancied a long soak amongst the clouds, this could be the bathroom for you. The outdoor bath at the Madulkelle Tea and Eco Lodge Spa looks out the Knuckles Mountain Range, and is set at over 1000m above sea level. The resort offers a luxury camping experience, set within rolling green tea fields. The bath is set within an infinity lily pond, and with the sounds of a nearby Hindu temple rolling over the hills, relaxation is taken to a new level - quite literally. An idyllic retreat for honeymooning couples and grown-up backpackers. If you love showers, you will love the bathrooms at the Mondrian South Beach. Think sparkling waters falling from crystal chandelier showerheads against a magical mosaic backdrop depicting a deep blue sky and ethereal clouds. The iconic hotel has been designed to resemble Sleeping Beauty's castle emerging from the sea — and the bathrooms certainly live up to the fairy tale experience. Bathroom experiences don’t get much more tranquil than this. South Ocean Lodge sits on a secluded cliff overlooking a rugged stretch of coast on South Australia’s Kangaroo Island. The bathroom in its luxurious Osprey Pavilion features heated limestone floors, a deluxe rainshower, and a sculpted granite bathtub for soaking up with the wild and panoramic views through its floor-to-ceiling window. Showering, with the breeze rushing through the leaves, in the open-air branch-encircled shower at Laamu's Lagoon Beach Villas , is like taking a shower under a tropical waterfall but in the privacy of your own bathroom. If your idea of luxury is allowing state-of-the-art technology to do all of the work for you, you will not be disappointed with the futuristic bathroom experiences on offer at the Pennyhill Park Hotel & Spa. Boasting "the only horizontal shower in the UK", Soundwave Massaging Technology and Regenerative Technology, they take their relaxation seriously. Unapologetically ostentatious, the Ritz Carlton Suite at the Ritz Carlton Hong Kong ticks all the luxury boxes: Oversized jaccuzi, 'rainforest' shower, marble surrounds, huge windows, more lights than Balckpool illuminations - and perhaps the best cityscape view you're ever likely to clap eyes on. The penthouse floor of New York's nautical themed Maritime Hotel overlooks the High Line and Hudson River - and boasts huge marble bathrooms. But it's the outdoor terrace shower with its oversized porthole peeping out across the city that makes this a bathroom experience to remember. Achingly cool. All glass and wood, the Singita Sweni Lodge at South Africa's Kruger National Park is a designer treehouse that cleverly integrates your bathroom experience with the landscape. Bathe, floating above the Sweni River - or take a refreshing and spectacular shower outdoors. Another bath, another jaw-dropping view of crystal blue waters and staggering rock formations. This one is The Art Suite at Capri's Punta Tragara Hotel. This one is of the striking Faraglioni rocks off the Italian island of Capri. The beautifully designed modern standalone bath provides a stylish contrast to the more traditional, classic Italian furnishings.